Having spent an entire afternoon with Amazon’s new Echo Dot speaker, I am happy to report that it’s pretty amazing. It’s the third-generation of Echo Dot, and we finally have a speaker that looks visually appealing. 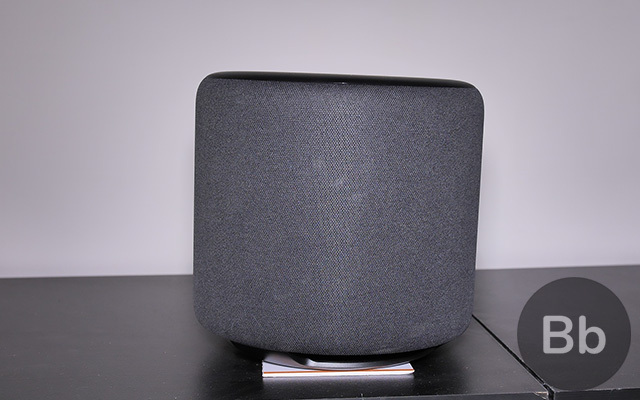 The new Echo Dot, as you can see, has rounded corners instead of sharp edges, along with fabric covers. You can get it in three colors – Black, White, and Grey, but I personally liked the White one. 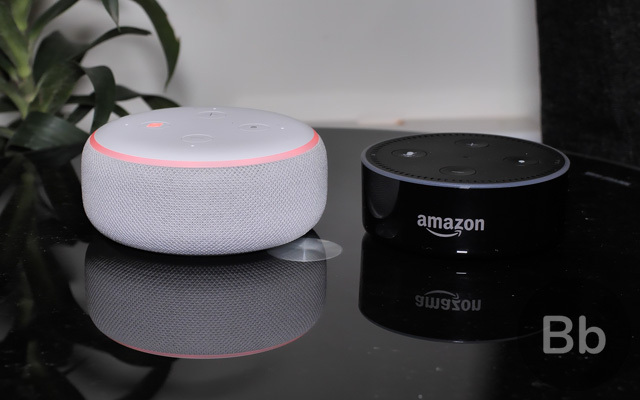 It is a little larger than the previous generation Echo Dot, but won’t notice the difference unless you compare them side-by-side. I didn’t have a Google Home Mini to compare, but I’d say they are just about the same size. The new Echo Dot is slightly larger because it has a significantly larger speaker. Amazon says the new one is 70 percent louder than the previous model, and it also has much better sound quality. I won’t say the new Echo Dot will give the larger Echo devices like the Echo Plus, etc. a run for its money, but I do think that it is louder and props to Amazon for improving the hardware without charging more. The Echo speakers may have dominated the smart home space due to Alexa’s wide range of skills, but they’ve always lacked in the sound quality department. Well, that’s exactly what the new Echo Sub is here to fix. The new Echo Sub, which acts as a companion device, will definitely make audiophiles happy. The Echo Sub is essentially a subwoofer which you can connect with any of your Echo speakers for a big bass boost. For instance, you can connect the Echo Sub to two Echo Dot speakers to create a 2.1 system. You can even go crazy and connect multiple speakers and get impressive output. Just like the Echo Dot, the Echo Sub also has a fabric material surrounding its hefty body. It stands eight-inches tall, but it doesn’t look awkwardly big for a subwoofer. It also seems like it would be easy to clean the Echo Sub’s fabric, but I m sure it’ll start collecting dust in no time. We were given a quick demo at the briefing, and I must say that I was pretty impressed. The Echo Sub was connected to a total of five other Echo speakers, and the effect was solid. The Echo Sub has a six-inch, downward-firing woofer and a 100-watt class D amplifier. I wasn’t able to spend a lot of time listening to head-banging music, but I think the Echo Sub is a promising start. Lastly, I got my hands on the new Echo Plus, which, according to me, has received some noteworthy upgrades. The first thing you’ll notice is the new design. The second-generation Echo Plus now stands noticeably shorter than the previous model. In fact, it looks very similar to the Echo speaker that was released last year, thanks to the rounded corners and a shorter cylindrical shape. 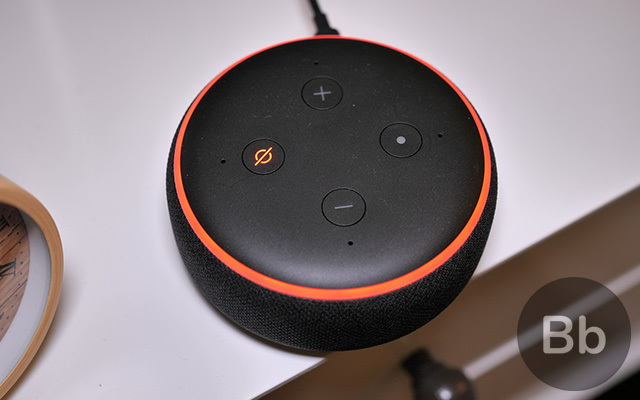 The new Echo Plus also has a fabric cover that looks much better than the plastic finish on the other model. But, it’s not just about the looks, though. The new Echo Plus has some nifty tricks up its sleeves. It now has a temperature sensor, with the help of which Alexa can now tell the exact temperature wherever it is placed. 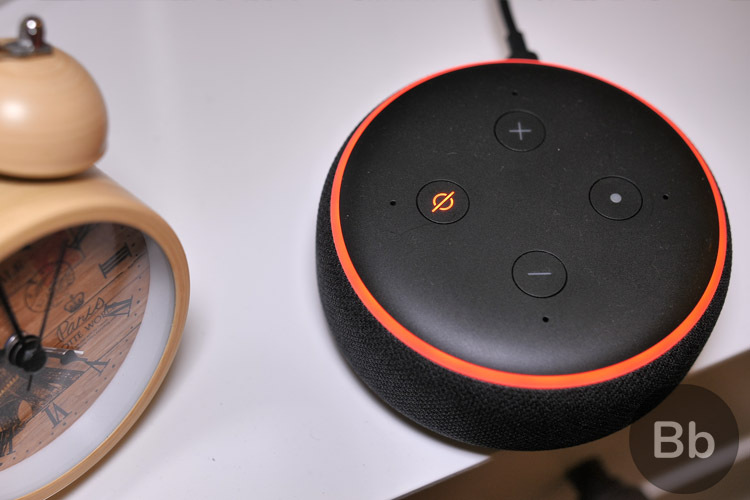 The Echo Plus also supports local voice control, with which you’ll be able to control smart devices with Alexa even if the internet goes out. Sadly, I wasn’t able to test any of these features, but we’ll have more on this once we spend more time with them in the future. I would also like to point out that Amazon has removed the rotating dial from the previous model. The company says it’s s design decision that makes the new Echo Plus look more uniform. I totally understand that, but I think the rotating dial is definitely something that I will miss. Coming to the audio quality, I’d say the Echo Plus sounds pretty good. That’s not unexpected as Amazon says that the new Echo Plus gets an improved 360-degree audio experience. It even has a 3-inch woofer along with a small tweeter, so you can expect this speaker to sound way better than the smaller Echo Dot. Pair it with an Echo Sub, and you have a real winner here. Overall, I’d say that Amazon has managed to deliver the much-needed makeover to the Echo speakers. Obviously, I am not suggesting you to go out and replace your existing Echo speakers. 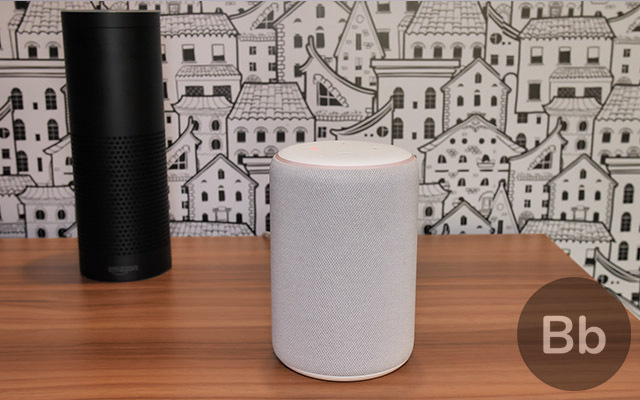 But if you are in the market to purchase your first smart speaker, then Amazon’s new offerings are something that you can proudly display in your living room.